Ask any pregnant woman about her urge to 'nest' as baby's arrival draws near, and you're likely to hear a funny story about housekeeping. When I was pregnant with my son, I found myself cleaning the sides of the stove top with toothpicks -- and I pulled a muscle trying to vacuum the crown molding in the final days of my pregnancy with my daughter. Use the primal urge to clean and purify your home for baby's debut to your entire family's advantage. Here are five ways to green clean your home, making it safe and secure to welcome your little bundle into your abode! The last thing you want to do is ‘clean’ baby’s surroundings by using toxic chemicals. Read our previous post to learn how to make an entire range of non-toxic, green cleaning supplies that will leave your home sparkling clean while posing no hazard to the planet or your family. Behold the power behind simple ingredients such as baking soda, vinegar and lemon. When you use eco cleaners, you can rest assured you aren’t inhaling any toxins while you’re pregnant either. Any parent will tell you that whoever coined the phrase, “sleep like a baby” certainly never had one. But even though it may not seem like it, babies do spend a great deal of their time catching zzz’s. Give your bundle the gift of green dreams by outfitting her crib with a mattress made with all natural, organic and non-toxic materials, such as the Pebble mattress from Nook Sleep Systems or the COCO-MAT. Organic bedding is equally important for pesticide-free slumber. 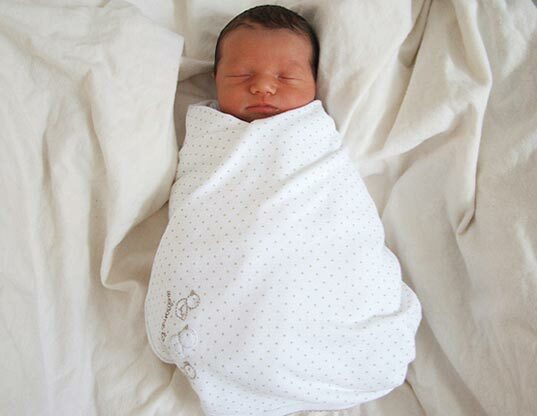 We love Cotton Monkey organic bedding for babes. Finally, help protect your infant against SIDS by putting her to sleep on her back in a safe, temperature regulating sleep sack. We can’t raise babies in a sterilized bubble — but one of the next best things is to purify indoor air, which is actually filled with more harmful pollutants than outdoor air. 80% of human exposure to pesticides happens indoors! Set up an air filter in baby’s nursery and play areas to combat airborne toxins. You may also strategically select household plants that will green baby’s niches. This amazing ANDREA air filter uses house plants to purify indoor air. Or you may go sans the greenery and opt for the AIRPOD Hepa Air Purifier to do the dirty work. 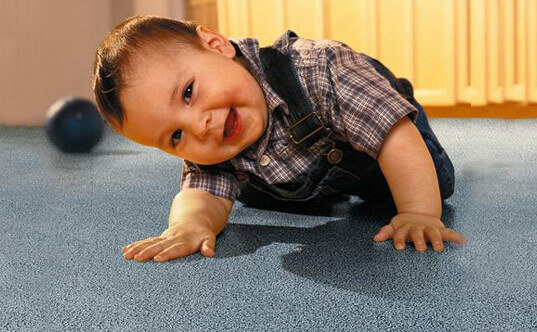 If you want to clean your carpet before your babe has many a tummy-time and eventually crawling session atop it, it is vital that you make sure your carpets are green cleaned. Visit Inhabitots editor-in-chief Jill’s informative, must-read post to get the scoop on how to clean your carpets without chemicals and why doing so is so important to your little one’s (and entire brood’s) well-being. Additionally, learn about why vinyl flooring and wallpaper equal a major health threat for children, and avoid or remove toxic vinyl in your home if possible. ‘Painting the nursery’ is a retro ideal — but with the advent of of eco-friendly paints, parents can now safely add color to baby’s nursery walls . 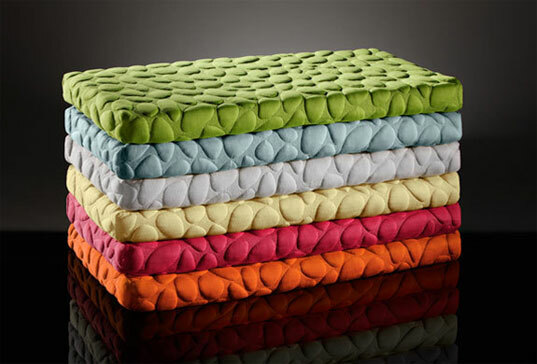 However your wee one won’t care that he’s sleeping under the perfect shade of ecru or sage. Ditch painting altogether or opt for recycled wallpaper or vinyl-free wall decals to personalize and beautify your little one’s surroundings. For more information on greening your home, visit our previous post on Healthy Child, Healthy World‘s Healthy eHome website and our tour of the organization’s 2010 Healthy Home. The last thing you want to do is 'clean' baby's surroundings by using toxic chemicals. 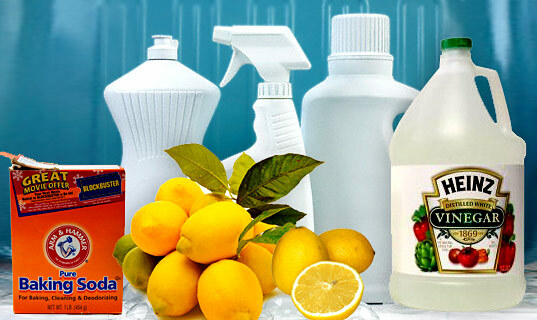 Read our previous post to learn how to make an entire range of non-toxic, green cleaning supplies that will leave your home sparkling clean while posing no hazard to the planet or your family. Behold the power behind simple ingredients such as baking soda, vinegar and lemon. When you use eco cleaners, you can rest assured you aren't inhaling any toxins while you're pregnant either. Any parent will tell you that whoever coined the phrase, "sleep like a baby" certainly never had one. But even though it may not seem like it, babies do spend a great deal of their time catching zzz's. Give your bundle the gift of green dreams by outfitting her crib with a mattress made with all natural, organic and non-toxic materials, such as the Pebble mattress from Nook Sleep Systems or the COCO-MAT. Organic bedding is equally important for pesticide-free slumber. We love Cotton Monkey organic bedding for babes. Finally, help protect your infant against SIDS by putting her to sleep on her back in a safe, temperature regulating sleep sack. We can't raise babies in a sterilized bubble -- but one of the next best things is to purify indoor air, which is actually filled with more harmful pollutants than outdoor air. 80% of human exposure to pesticides happens indoors! Set up an air filter in baby's nursery and play areas to combat airborne toxins. 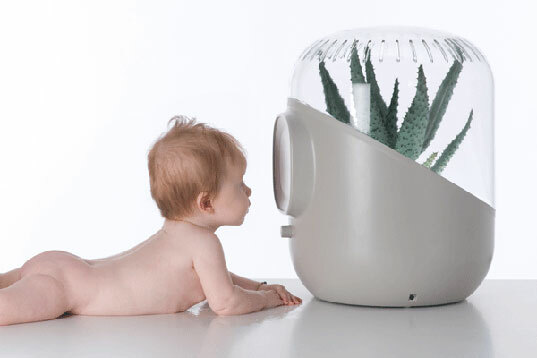 You may also strategically select household plants that will green baby's niches. This amazing ANDREA air filter uses house plants to purify indoor air. Or you may go sans the greenery and opt for the AIRPOD Hepa Air Purifier to do the dirty work. If you want to clean your carpet before your babe has many a tummy-time and eventually crawling session atop it, it is vital that you make sure your carpets are green cleaned. Visit Inhabitots editor-in-chief Jill's informative, must-read post to get the scoop on how to clean your carpets without chemicals and why doing so is so important to your little one's (and entire brood's) well-being. Additionally, learn about why vinyl flooring and wallpaper equal a major health threat for children, and avoid or remove toxic vinyl in your home if possible. 'Painting the nursery' is a retro ideal -- but with the advent of of eco-friendly paints, parents can now safely add color to baby's nursery walls . However your wee one won't care that he's sleeping under the perfect shade of ecru or sage. 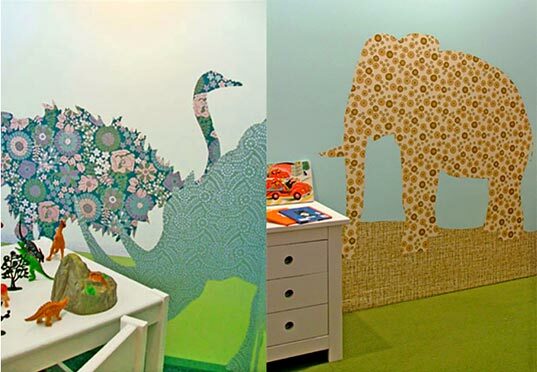 Ditch painting altogether or opt for recycled wallpaper or vinyl-free wall decals to personalize and beautify your little one's surroundings. For more information on greening your home, visit our previous post on Healthy Child, Healthy World's Healthy eHome website and our tour of the organization's 2010 Healthy Home.